It's hot in the kitchen! Wow, the weather we are having is amazing, I hope everyone is enjoying it. It's rather hot in the kitchen when the oven is on (often!) and cake decorating must be managed, melted buttercream and sticky icing makes it quite a challenge. Still, I must not moan, no, I really musn't! I had a lovely cake to do last weekend, a gymnastics cake, which is a new one for me! I loved doing it though and decided to have the little model doing the splits and spelling out the number 8 with her ribbon. Sparkly stars spelling out her name completed the look perfectly! 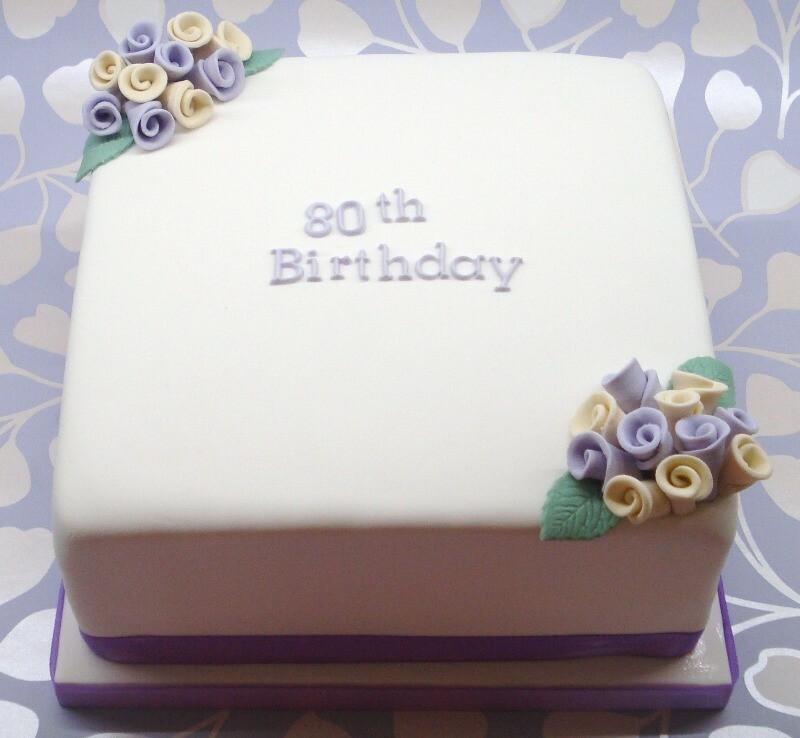 I also had an order for one of my most popular designs, but in a colour scheme I'd not done before - lilac and cream. I was blown away with the results, I love it! It was an 8" vanilla sponge cake and was 4" high, a real statement. This weekend I did another football shirt, Chelsea this time. I wanted to get the badge on there and I don't like to use printed toppers/edibles, so it was totally handmade and hand painted and it looked great on the board, the cake can be seen here in full. What kind of cake did I have to do on the hottest day of the year (so far!)? Chocolate of course! 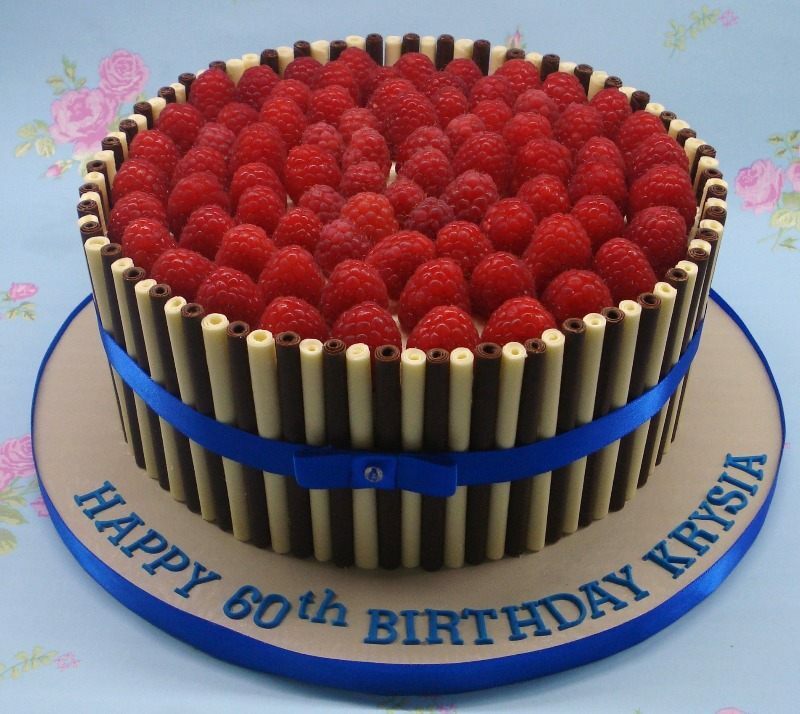 A 9" vanilla sponge, filled with buttercream and raspberry jam, surrounded in alternate milk and white chocolate cigarellos and topped with fresh raspberries. Totally stunning and my husband has 'ordered' one for his birthday later this year! The coming weekend means 6 cakes for me to complete, there is a real mix for me to do, from fairly straight forward to a real challenge. Can't wait, bring it on!